Career: Entry into the seminary of Ryazan and studies of the current literature on natural science; 1870 entry into the natural sciences section of the Faculty of Physics and Mathematics at St. Petersburg University; 1875 graduation from university and entry into the third-year course at the Military Medical Academy; 1878-1890 head of the physiology laboratory of Botkin's clinic; degree of doctor of medicine on 19 December 1879 and doctoral dissertation on the efferent nerves of the heart defended on 21 May 1883; 1884 -1886 work in the laboratories of Carl Ludwig in Leipzig and Rudolf Heidenhain in Breslau; 1883 Privatdozent in physiology at the Military Medical Academy; 1890 professor in the department of pharmacology while also director of the physiology section of the Institute of Experimental Medicine; 1895 move to the department of physiology, which he headed until 1925; 1904 Nobel Prize for his research on digestion; organization of a number of major research centers, including the physiology section of the Institute of Experimental Medicine, the Institute of Physiology of the Soviet Academy of Sciences (now bearing his name), and the biological station at Koltushy (now Pavlovo); with Pavlov's active cooperation the Russian Physiological Society (now the I. P. Pavlov All-Union Physiological Society) was organized in 1917. 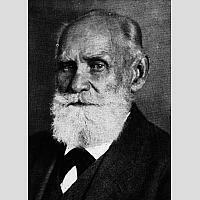 Selected works: Pavlov, Ivan P. 1940-1949. Polnoe sobranie trudov. Moskau Pavlov, Ivan P. and M. I. Afanasiev. 1875. O nervakh, zavedyvayushchikh rabotoy v podzheludochnoy zheleze. 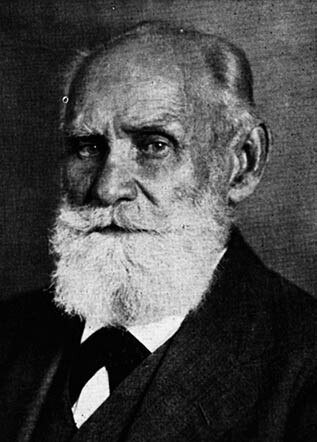 Pavlov, Ivan P. 1883. O tsentrobezhnykh nervakh serdtsa. St. Petersburg Pavlov, Ivan P. . Kak bezzubka raskryvaet svoi stvorki. Polnoe sobranie sochineny 1: 466-493 Pavlov, Ivan P. 1897. Lektsii o rabote glavnykh pishchevaritelnykh zhelez. Related: See Margarete Vöhringers article Pudovkin's "Mechanics of the brain" Film as physiological Experiment, an excerpt from the educational film Bedingte Reflexe bei Tieren (Pawlow) and Rand B. Evans documentary film Psychologists 1927-1933 (Ninth International Congress of Psychology Yale University, New Haven, Conn., September 1-7, 1929, at min. 10:32; Tenth International Congress of Psychology, Copenhagen 1932, at min. 18:14).